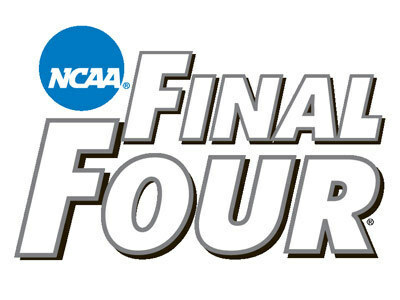 The Final Four schedule 2015 NCAA tournament’s Final Four is today, and do you ever have options to watch Saturday’s Duke vs. Michigan State (6:09 p.m. ET, TBS) and Kentucky vs. Wisconsin (8:49 p.m. ET, TBS) games from Lucas Oil Stadium in Indianapolis. If you’d rather not watch the national broadcast feed with Jim Nantz, Bill Raftery, Grant Hill and Tracy Wolfson on the mikes, you can watch the “homer” broadcasts tailored for each team. Tom Werme, play-by-play: 20-year broadcasting veteran known for his work for the ACC Network, ACC Digital Network and Raycom Sports. Alaa Abdelnaby, analyst: Played for Duke from 1996-2000 and was All-ACC third team as a senior. He also works for CBS Sports Network as an analyst and is a commentator for Westwood One. Chris Spatola, reporter: The son-in-law of Duke head coach Mike Krzyzewski is also the former director of basketball operations for the school. Brian Anderson, play-by-play: Given that Anderson calls Brewers games for FOX Sports Wisconsin, he could have easily been assigned to call the Badgers game. But he’s a versatile voice that has called NBA and MLB games for Turner Sports and also has called games on Big Ten Network. Mateen Cleaves, analyst: Meet the guy who helped Tom Izzo win his first national title in 2000. Cleaves is the only three-time All-American is school history and was a two-time Big Ten player of the year. Currently, he works for CBS Sports Network as a studio analyst. Shireen Saski, reporter: She’s a Spartans alum who works for CBS Sports Network. When working for FOX Sports Detroit, she won three Michigan Emmy Awards. Dave Baker, play-by-play: The long-time WKYT broadcaster does play-by-play for UK/IMG’s basketball coverage and also has two-plus decades of broadcasting SEC events. Rex Chapman, analyst: He was a standout in his two years at Kentucky, amassing over 1,000 points. He then followed that with 12 years in the NBA. Michael Eaves, reporter: The Kentucky alum has previously covered UK basketball extensively as a sports anchor, reporter and producer at WKYT in Lexington. He currently works for Al Jazeera America. Wayne Larrivee, play-by-play: He’s the radio voice for the Green Bay Packers and was the longtime TV voice of the Chicago Bulls. He’s well known around Chicago and the Midwest, and his voice is unmistakable. He has also called NCAA tournament games for Westwood One. Mike Kelley, analyst: He helped the Badgers reach the Final Four in 2000 and is a member of the school’s athletics Hall of Fame. Not known for scoring much, he was the Big Ten’s defensive player of the year in 1999. Phil Dawson, reporter: This particular Dawson is not the kicker for the San Francisco 49ers. He is a host for the Badger Radio Network and a talk show host in Milwaukee and Wisconsin.